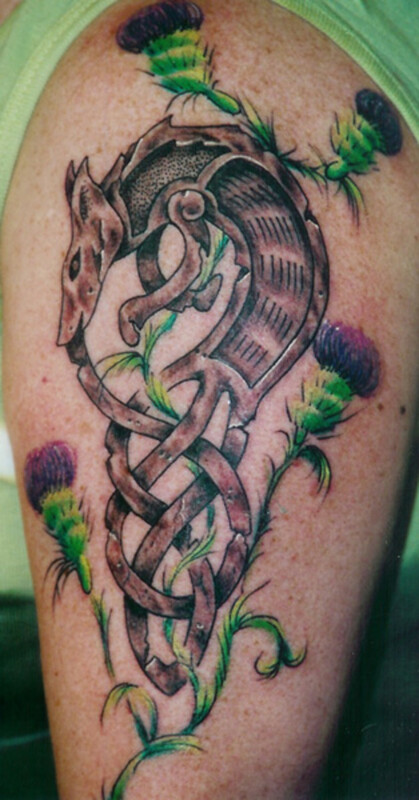 Celtic tattoos are one of the more beautiful tattoo designs. They have deep meaning to many of those that decide to put one on their body. There is one challenge with Celtic tattoos: They're so intricate and meaningful, they can get lost if you put them in the midst of or alongside other tattoos, and they can lose their look and significance. 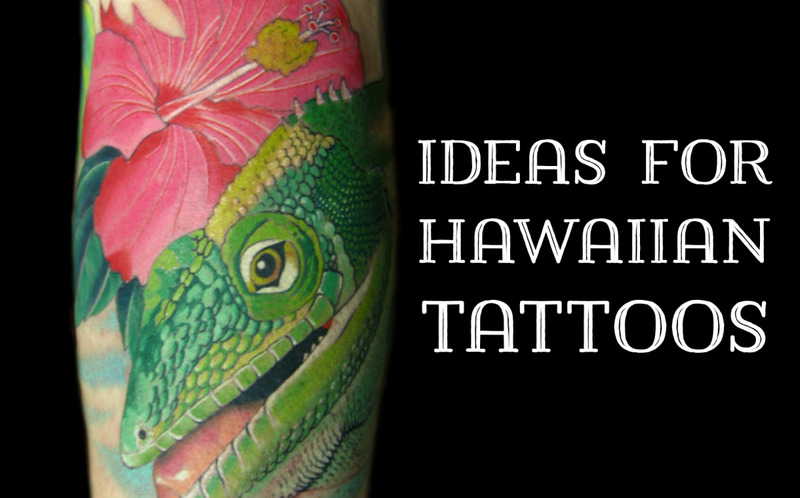 So in most cases, you want them for a single tattoo on the body, or at least in its own place away from others. 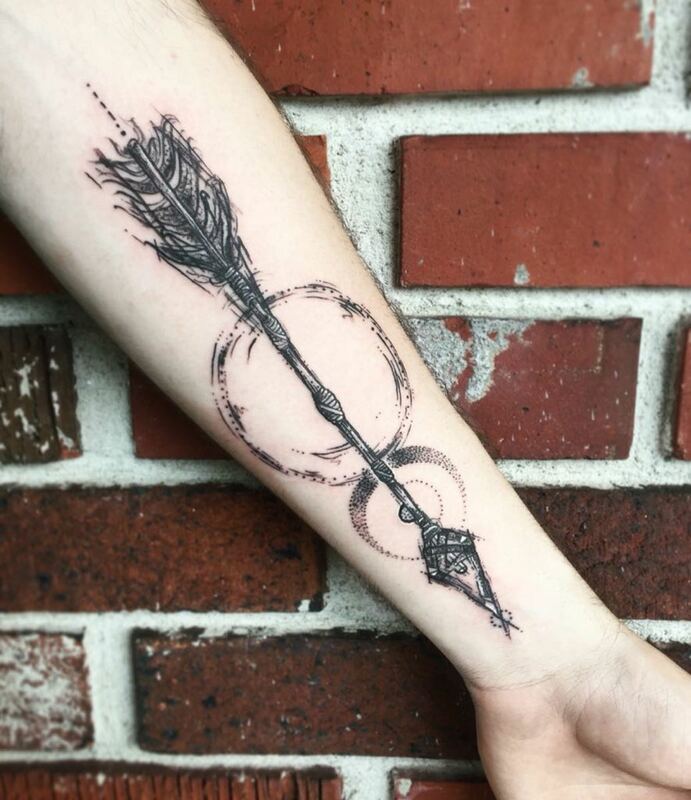 Sometimes combining Celtic and tribal tattoos can work, but even though they look good aesthetically, the symbolism isn't quite the same. 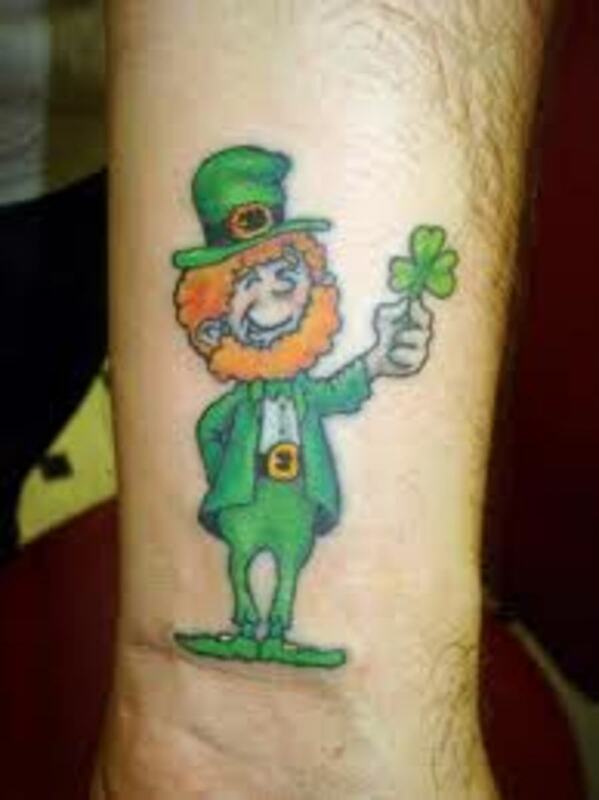 Now if you're just into the looks of the tattoo alone, sometimes that'll work, but even so, some of the most intricate tattoo body art is connected to Celtic tattoos, and so it's very easy even in that sense to lose some of the effect of what it is. 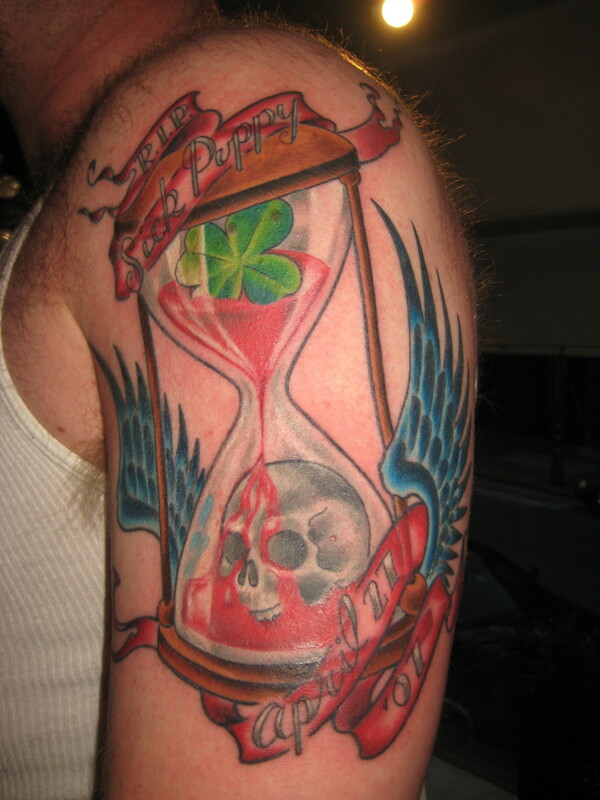 Celtic tattoos can border on Celtic mythology and meaning, to the very symbolic Celtic cross, which means different things to different people. 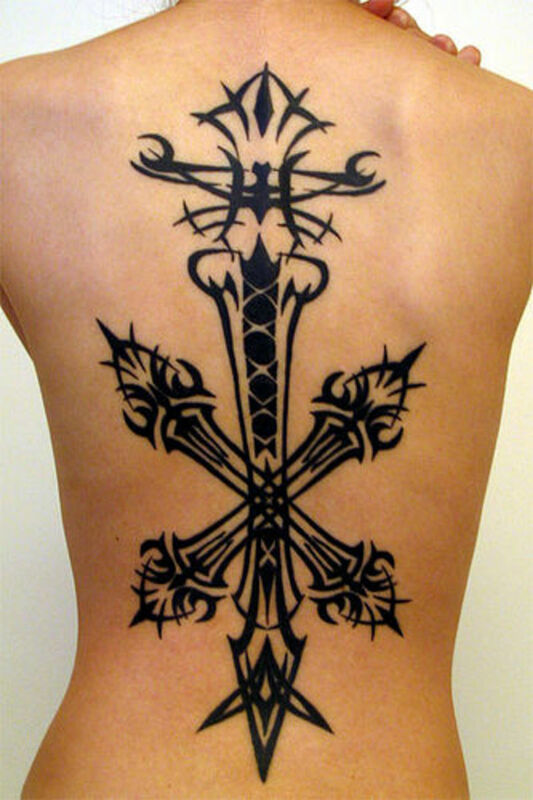 Some of the great Celtic-type tattoos are also connected to Norse mythology, but they somehow work in the Celtic tattoo design. 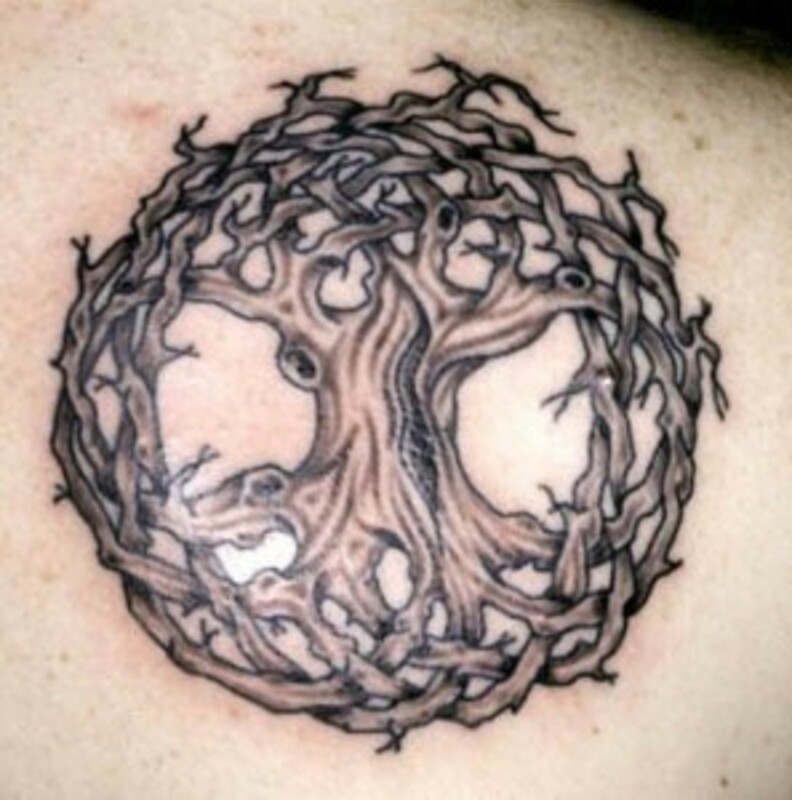 One of my favorite Celtic tattoos is the mystical tree of life, which in most cases is done in a way that you always recognize it, even if the designs change from tattoo to tatoo. It has some of the deepest meaning, and usually people who wear it do so with definite purpose—and not simply because they like its look alone—although they do look fantastic, in spite of the meaning attached to it. 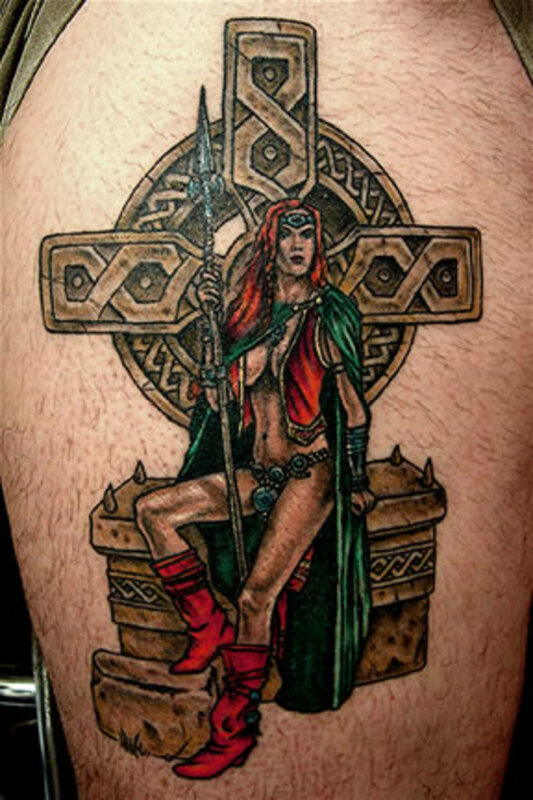 While the Celtic tattoo appeals to those of the Celtic heritage (which includes not only the Irish but also the Welsh and Scots, as well), it also attracts those who just love the design and who in many cases assign their own meaning to the symbols, like others do with different tattoo themes. 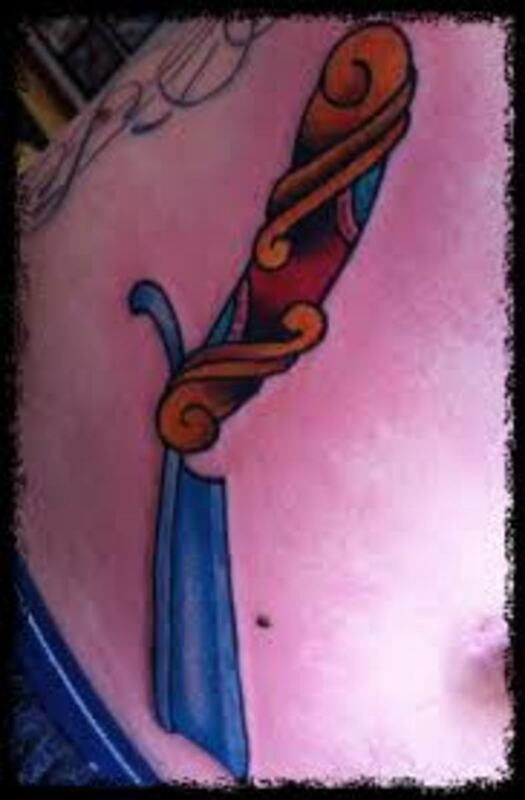 Quite a number of Celtic tattoo designs receive their inspiration from an old manuscript named The Book of Kells, which is part of a larger body of work called the Irish Illuminated Manuscripts. 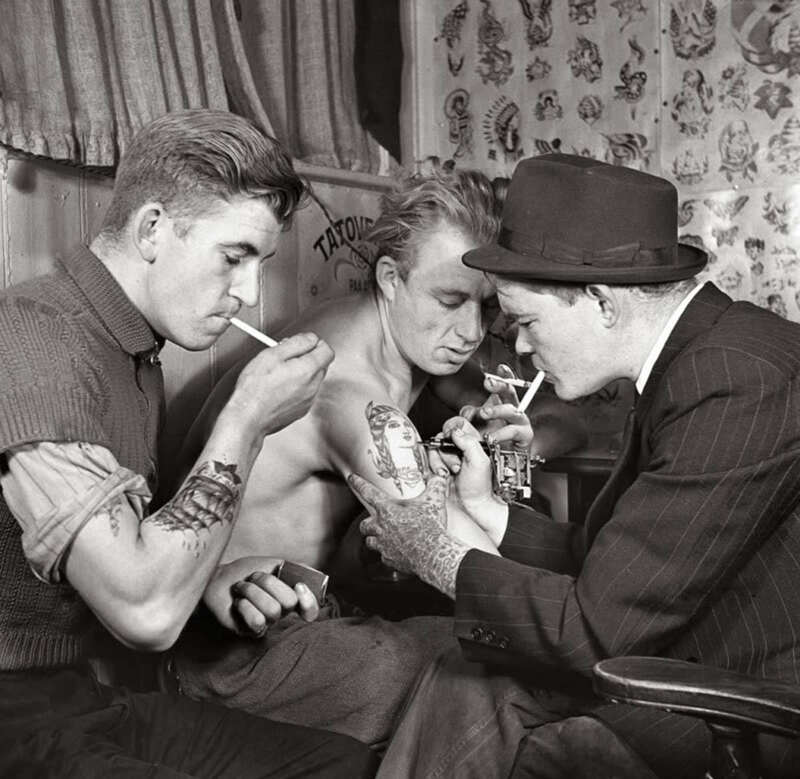 There are a number of unique features of the Celtic tattoo, with the primary one being called knot tattoos. What this means is they're made in a way that there is no beginning or end to them, which is a symbol of ongoing birth and death and rebirth. 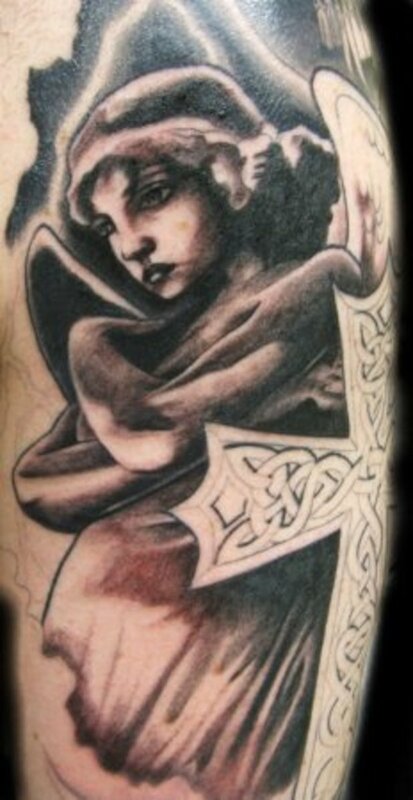 Many of the Celtic tattoo photos included here have them as part of their artwork. Another tattoo design can intersect the knotwork design, which means the design will include what is called a zoomorphic design, which means the knotwork will finish with a piece that includes an animal head, foot or tail, which doesn't reconnect to the original band, breaking the cycle. 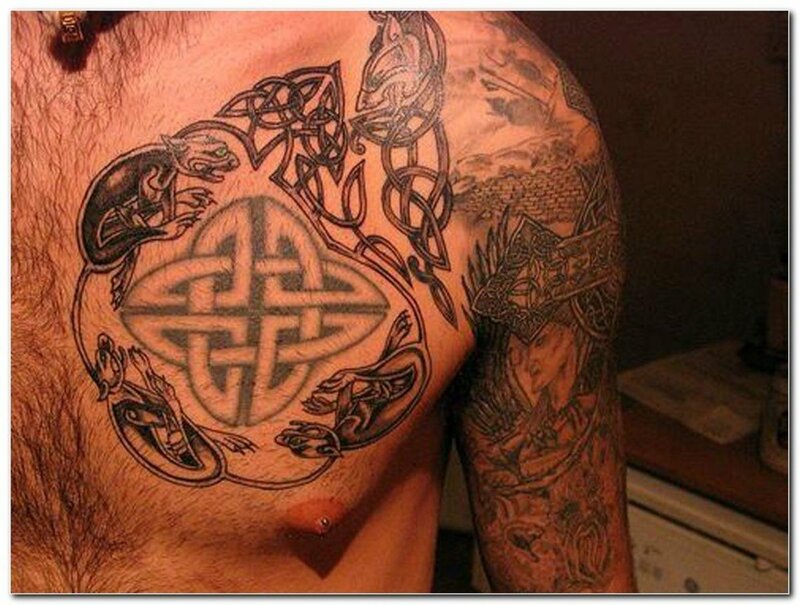 A pure zoomorphic Celtic tattoo design will have a look that closely resembles knotwork, but as mentioned, will only use the limbs of an animal, or its head, in place of the knotwork. Another popular Celtic design is what is called the maze design, which adds parallel lines that form a maze. Finally there is the spiral design, which includes lines that swirl around and spiral in a way that rarely varies, and usually flows together nicely. 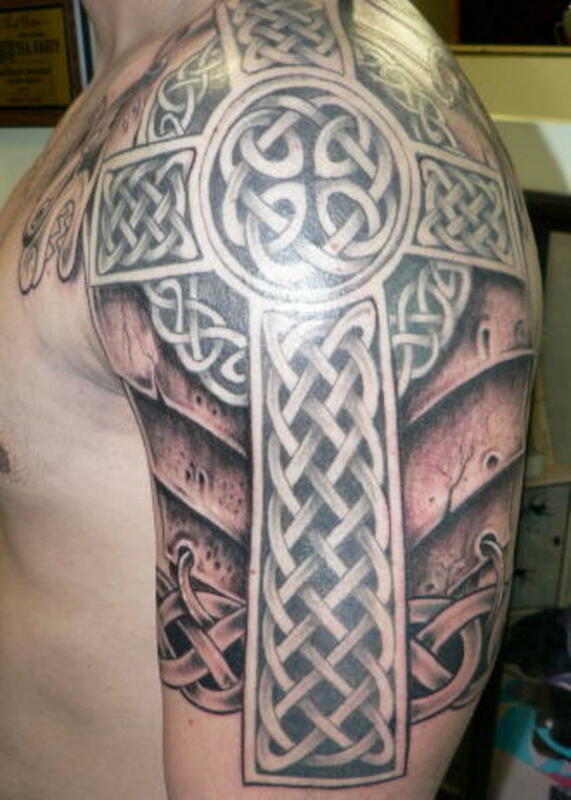 There can be no doubt that the Celtic cross is inked on more bodies than any other Celtic tattoo. Again, it has different meanings to different people, and those that wear them attach, in many cases, their own private meaning to the symbol. Many people keep the traditional meaning of the Cross of Christ, and that remains an inspiration to many, even though meanings have changed among some people in general. Some of my favorite Celtic tattoos are those that show past heroes of lore and legend, which in many cases seem to be one-of-a-kind tattoos that are not commonly found. 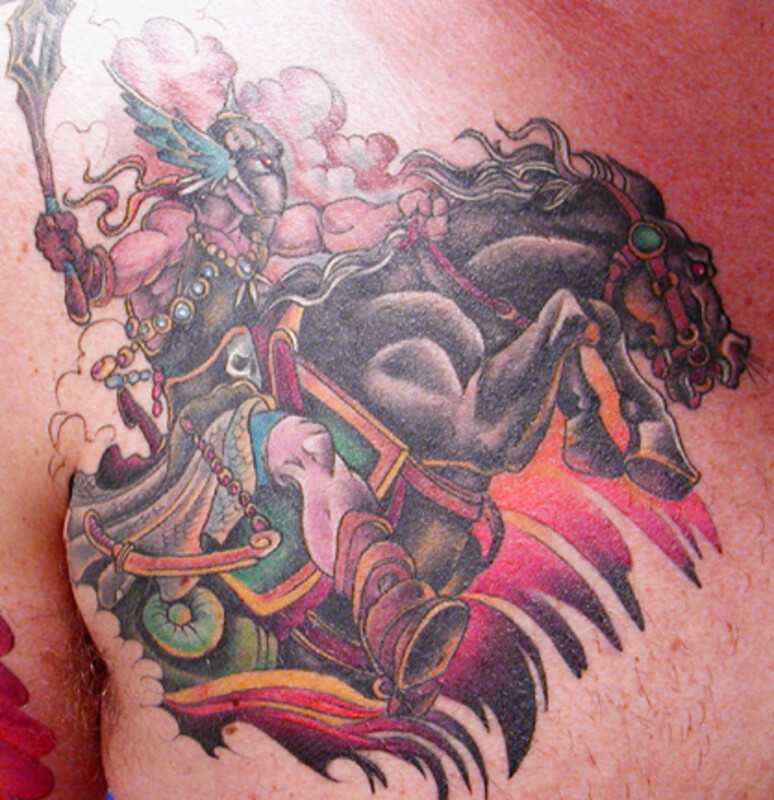 I've included a number of these in the tattoo photos above, as they're just too good to pass up, and in many cases were difficult to find. Looking at them, you can see what they're so desirable as body art and symbolic meaning to many people. Ha ha...this is funny....I'm the artist who did the 3rd tattoo from the bottom about 6 years ago! Ha ha ha! Interesting site and cool images, thanks. Don't forget the Cornish Celts in the UK (I am one!). Mine is actually a combination of Celtic and Native American. The artist and I designed it together. Combines sword/cross with a Celtic band and where the band &amp; sword meet, it looks like the face of a wolf. Great pictures! Thanks! 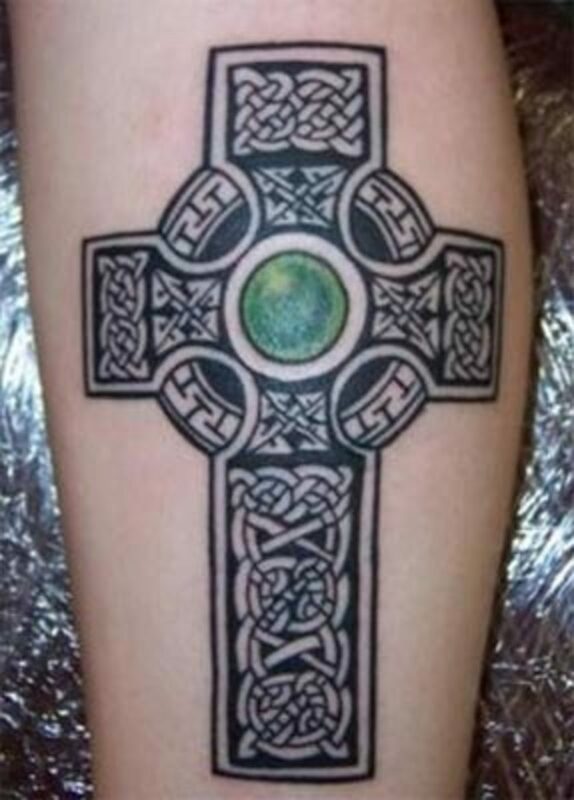 I will definitely consider a celtic tattoo for my next one. I've been looking for something interesting. Thanks for the helpful info.